As technology continues to automate and optimize HR processes, it becomes important to understand what that technology can do to help meet the goals of HR. This was explored recently at the Reward & Employee Benefits Association (REBA) Innovation Day. 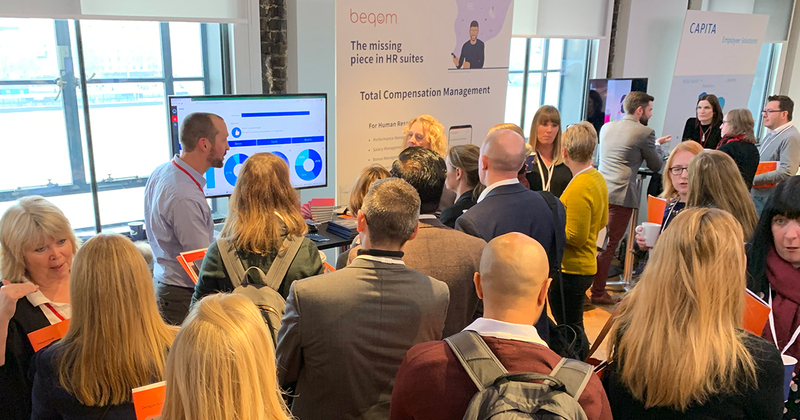 Held in London, the event set out to uncover trends and best practices for compensation management in a world of work that is changing dramatically as a result of digital disruption. Some of the questions being investigated included, What role does simulation play in optimizing compensation effectiveness? How important is it to understand user profiles? What are the next stages for artificial intelligence and machine learning? HR technology has always been there, but innovation over recent years has accelerated, providing employees and managers with increasingly more and better services. These technological advances have brought higher demands from the workforce, as they look to gain a deeper understanding of their compensation. Through using a what-if scenario analysis, organizations can see the impact of various compensation model scenarios, and determine which one will produce the best results. The power of simulation goes beyond planning, and can even be extended to employees, giving the end user visibility into scenarios such as, “If I overachieve, how will this affect my compensation?” This visibility acts as a motivator, showing what is possible when they go above and beyond in their roles. Whether it’s an employee, manager, or administrator, it’s worth the effort to understand the unique characteristics and needs of each user. In an era of competition for talent, organizations are focusing more on the employee. By dialing into each user perspective, organizations can more effectively meet employee needs and improve retention and motivation. Employees deserve to see more than just their basic pay and bonus breakdown. They should be offered the ability to drill down from that basic information into the detail—How is their bonus made up? What are their KPI’s? How well have they performed?—to provide them with a transparent look at their compensation package and pay calculation. There is potential to go even further. Organizations can benchmark pay against norms for their industry and region to ensure they are compensating appropriately. Then employees could be shown where their salary features against a market average for comparable positions in their industry. Driving engagement through pay is not about how much you are paid. It’s about believing that you are being paid fairly. By providing transparency to employees, organizations will develop trust by improving the perception of fair pay. Not surprisingly, artificial intelligence and machine learning dominated a lot of the conversation, with organizations wanting to understand how these technologies can be applied to help compensation administrators make better decisions. Almost all organizations are now benefiting from their data, turning large unstructured sources into something that can be understood and analyzed for insights. Patterns for predicting performance are surfacing, and organizations are using them to gain an understanding and fine-tune their compensation strategies respectively. This is an emerging area of technology that can have a significant impact on achieving HR objectives for the organization’s workforce.